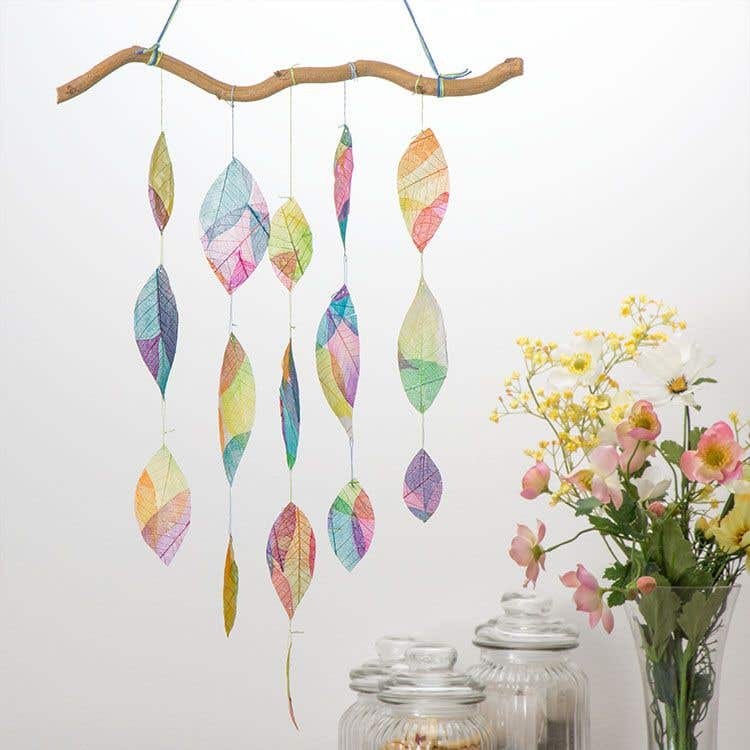 Hang this mobile near a window so the coloured leaves flutter in the breeze. Brush PVA glue over a sheet of white tissue paper then stick some skeleton leaves on top. Add another layer of glue and stick down more leaves to make an overlapping pattern. Fill in any gaps with extra leaves so the tissue is covered. Leave to dry. 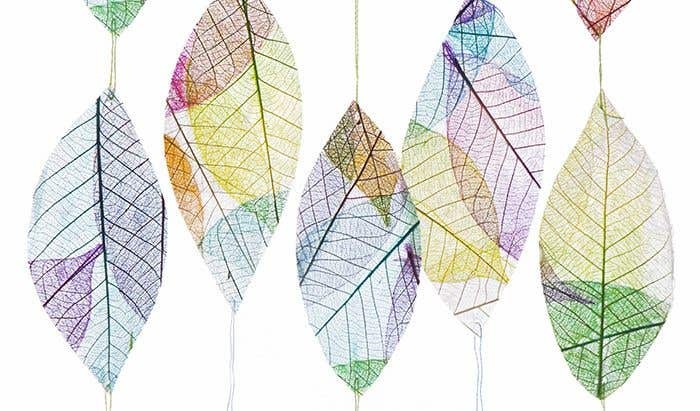 Lift up the tissue and leaves a whole sheet then cut out some simple leaf shapes, for a multi-coloured geometric effect, cut the leaves so they include different colours. If there are any edges where the tissue has peeled away from the leaves, stick it down with glue. Leave to dry. 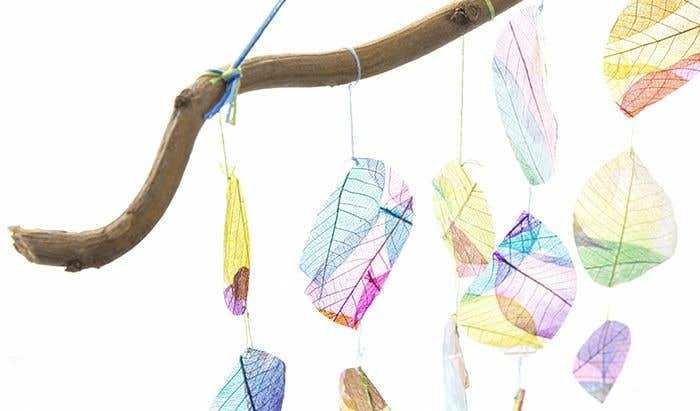 Make a small hole in the ends of the leaves with the thick needle or pointed tool then thread several leaves together using thread. Individual strands separated from coloured embroidery threads are ideal for this. Tie the strands of leaves onto a piece of curly willow so they are close together. 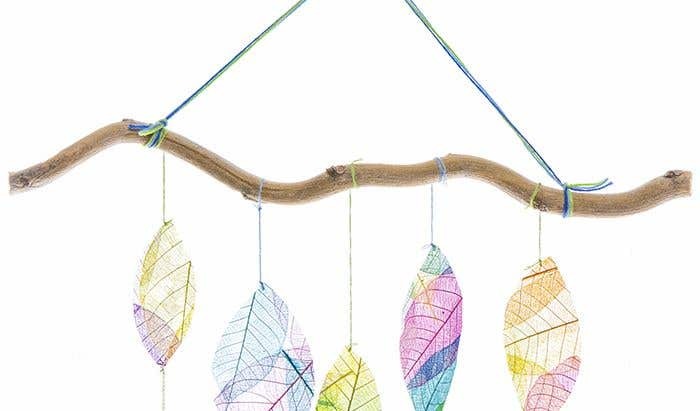 Tie a loop of thread to the top of the branch to hang your decoration. Leaves hanging up, ideally so light shines through.